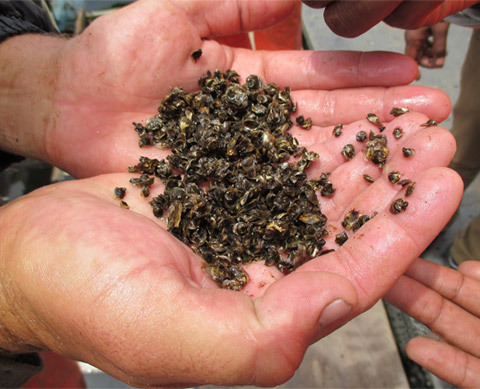 Our cultivation procedure begins when we import 3-4mm seed oysters from hatcheries in Guernsey, USA or Chile. 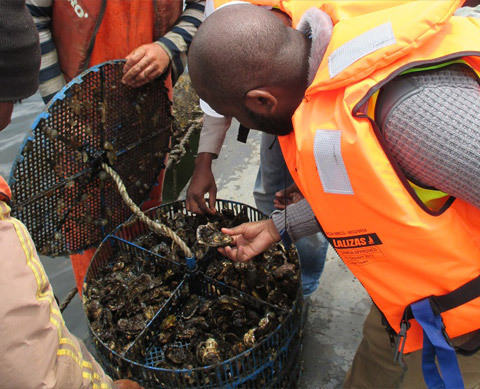 The oysters begin the growth cycle at an oyster seed production facility in Oranjemund, Namibia. New 3-4mm oysters are stocked into a floating nursery .The oysters are held in boxes and water is pumped through them in an upward motion. This system is called upwelling. The oysters grow rapidly and reach a size of 15-20mm in three to four months. At this size they are ready to be transferred out onto floating long lines. The oyster are placed in nets and suspended under floats out in the open water. The oysters are cleaned and sorted every two months to maintain a healthy environment, even growth and desired shape. 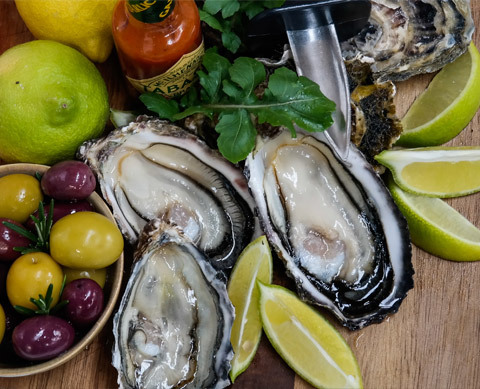 When the oysters reach 25-35g they are harvested and shipped to Nelson Mandela Bay. 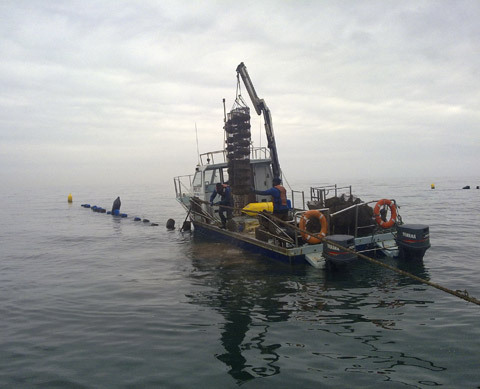 In Nelson Mandela Bay the oysters are cultivated on long lines one kilometer out at sea. Long lines are essentially ropes, suspended on the surface with floats and anchored on each end with mooring blocks. The oysters are cultivated in nets that hang down off the long lines. Here they receive a constant supply of high quality food, brought by the prevailing water currents. We constantly grade the oysters to ensure that the growth is uniform and the oysters develop a deep, cup shape. Oysters are harvested daily and after cleaning and a purification period in tanks, the oysters are hand inspected and packed into boxes. 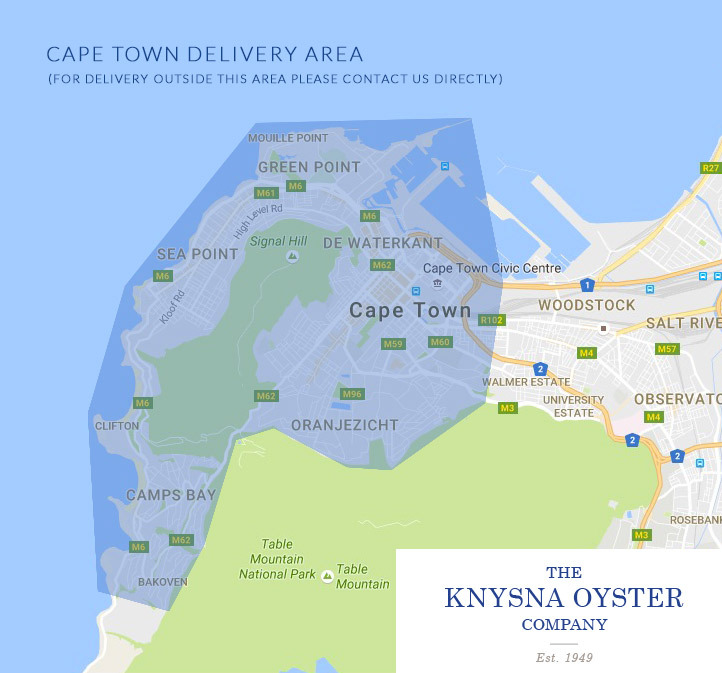 We hope that the time and care taken to grow our oyster is apparent as you enjoy their fresh taste!